After the morning at the awesome Kek Lok Si Temple, we headed for Entopia, the Penang Butterfly Farm. It was a nice drive. On the way there, some parts of the journey was by the sea. We even passed an area that reminded me of the seaside areas of Phuket. To be honest, I was not very keen on Entopia. I wondered just how interesting can a place filled with butterflies be? Boy, was I wrong! Entopia offered so much more than just tropical butterflies. It was definitely one of the Things You Must Do In Penang! So now, I will share with you about this awesome place that you must visit. I will provide a video walk-through below, plus my experience at Entopia with lots of photos. 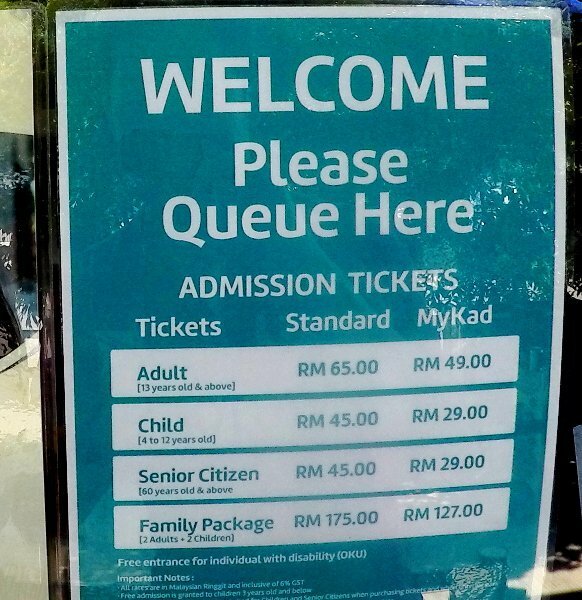 Also, useful information such as visiting hours, ticket prices are all in this blog post. * Tip: You will spend at least two hours here. More if you take a breather at their lovely cafe. Come join me on this wondrous journey! I took a lot of videos. There were a lot of stuff to capture on film. There was a wide variety of butterflies. And more than that. There were other creatures like frogs, snakes, insects, ducks, lizards, dragonflies, ants, and many more. There was also the very cool and scientific exploration of the world of butterflies in the Cocoon zone. Don’t miss all this in the video below. I have compiled and edited all the videos into one. Here it is. Watch it now! How did Entopia get started? All of us have to thank a gentleman named David Goh, the founder. 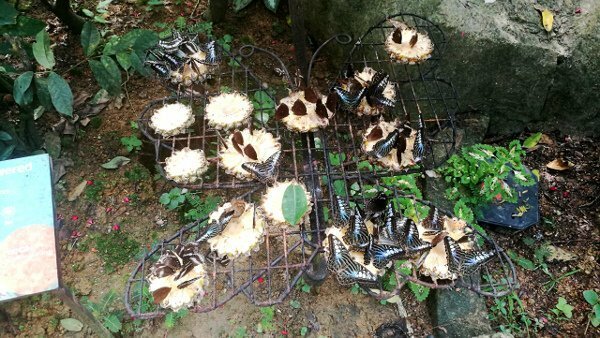 In 1986, his passion for butterflies inspired him to build a butterfly farm that would be a top tourist attraction in Penang. 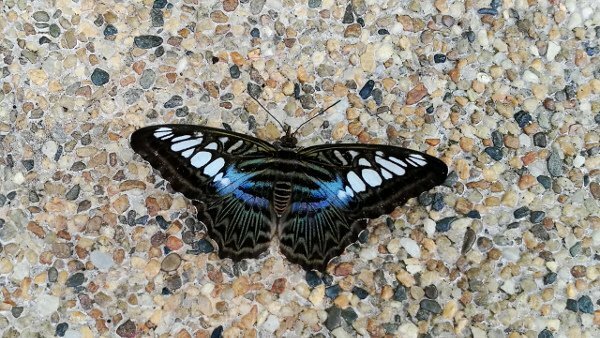 Since, then the Penang Butterfly Farm had millions of visitors. Yours truly and my friends are now part of that impressive number. In addition, Entopia won many awards and is voted as one of the best destinations in Penang on TripAdvisor. 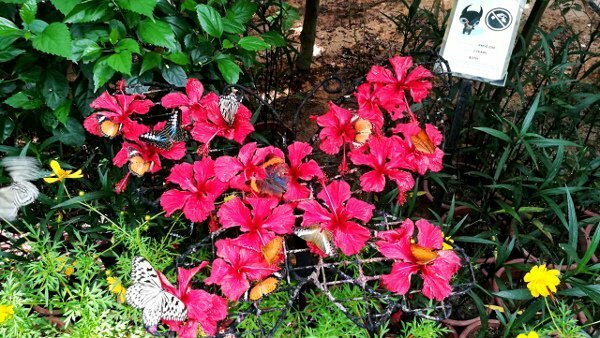 Definitely one of the Things To Do in Penang – Entopia Butterfly Farm. Wouldn’t you agree? The large attraction has two main zones – Natureland and Cocoon (more information about these are below). 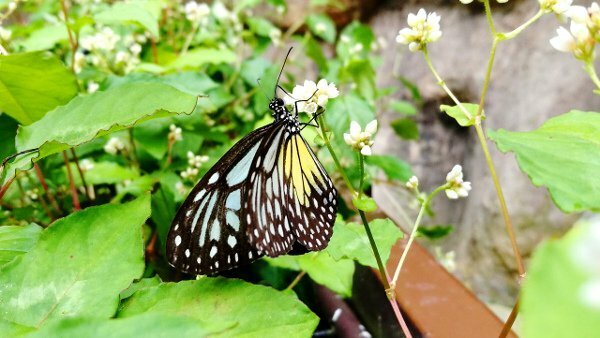 In addition to all the interesting creatures, butterflies and animals, the site offers Learning Activities that educate the public all about the exhibits and nature. Immediately upon entry, we were at Natureland. This first zone has been described as a living garden vivarium. The first area was the Mystery Cave. 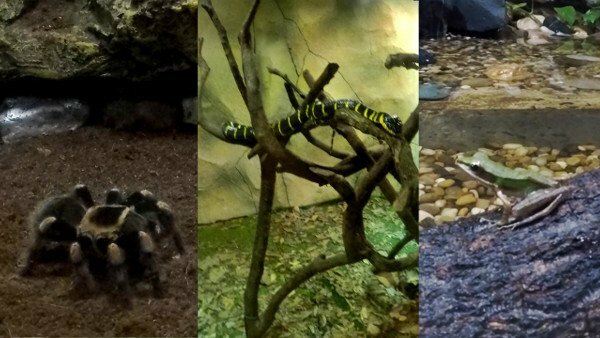 There were frogs, spiders, snakes and many other creatures. The Mystery Cave was dimly lit. As we exit, we entered Tiger Falls, and it was breathtaking! The scenery was beautiful with a waterfall as well as plant and flowers everywhere. More than 15,000 butterflies from hundreds of species were flying freely, drinking sweet nectar from the flowers, and fluttering up into the air all around. We wandered into this peaceful space, awe struck, and immersed in an idyllic and almost paradise-like environment. There Were Other Creatures Too! After hours exploring Natureland, we arrived at the entrance of the Cocoon. I wondered what secrets this mysterious looking entrance will lead us to? The entire Cocoon is indoors. It has two floors of learning exhibition and indoor activities. There were various installations, videos, multimedia shows, interactive stations and even a mini theater inside. All these provided a walk-through experience that educated us about the world of the invertebrates. 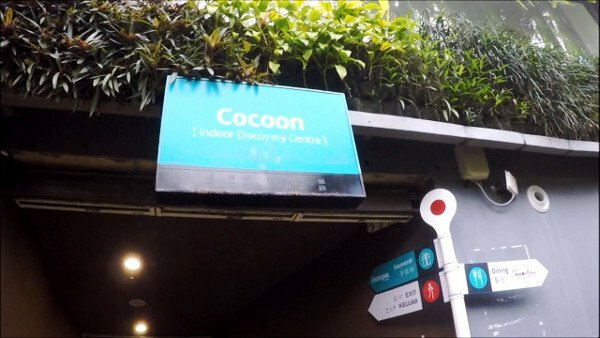 They named the different parts of the Cocoon as the Pandora Forest, Metamorphosis, Lumino City, Downtown Entopia, Breeding Ground, Underground Mysteries and Understory Tales. Watch the above video for more visuals of Natureland and Cocoon! 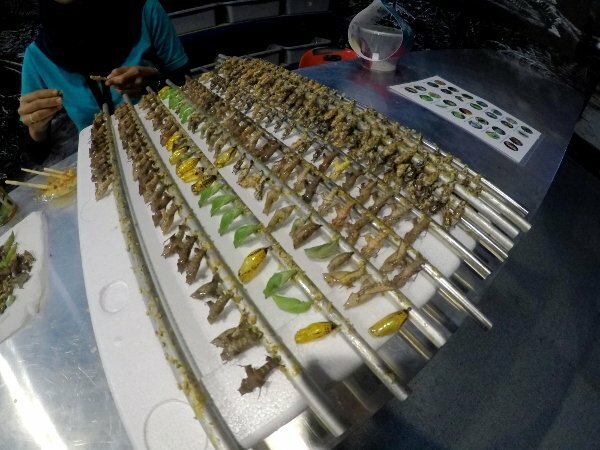 Entopia is definitely One of the Places You Must Visit when you are in Penang! As mentioned at the start of this article, I had low expectations of this attraction. Mainly because in the past I had been disappointed with many such places that had lots of hype. But Entopia proved me wrong. As I explored this awesome place, my mind changed its perception of it. Entopia truly over delivered. For the price, it is more than worth it. One of the things I would advise is to dedicate at least half a day here. This place deserves a slow and deliberate exploration. Enjoy the scenery. Be one with the nature that if offers. Lastly, do purchase the tickets online and at least 3 days earlier to enjoy the 10% discount. My friends and I did not know of this offer, and we lost out on the 10% discount. But we do not see why you should not enjoy it. From the map shown below, if you think that Entopia is far from George Town or any city area in Penang, you are not wrong. It is quite a distance away. As I wrote at the start of this article, my friends and I traveled to Entopia by car. One of my friends drove, and that made getting around Penang quite easy. It took us about 20 to 30 minutes to travel from George Town to Entopia. We took the route along the coast, and enjoyed views of the beautiful sea. We even passed Batu Feringghi but did not have time to explore it. Maybe next time? Here is the ticket prices as at January 2018. For current ticket prices, please visit the Entopia website. * Tip: Buy your tickets online 3 days in advance and Save 10%! No way. Travel by bus, cab or Grab. Best choice is Grab. This is a small town. There are no train services. Travel by bus, cab or Grab. Again, best choice is Grab. You can take buses 101 from Weld Quay to Teluk Bahang, 102 from Penang Airport or 501 from Balik Pulau Town. But honestly, the buses have fixed timings, and are not so frequent. Better if you have a car or commute by cab or better still, use Grab. If you drove to Penang, you are at an advantage. Traffic is not as heavy as cities such as Kuala Lumpur. Navigating around is easy, especially if you have Waze app. There is ample car park lots at Entopia. They rarely go by meter. If you choose to go by taxi, sometimes it may be better to book them for the afternoon or day. This way, you can be assured of getting a ride back to the city, as and when you like it. I know exactly what you mean about butterfly houses being better than you’d expect! There is one in my hometown that I actually love to take people to – they never seem keen at first. But some places, like fairgrounds and popular beaches can be very anti-climactic. They can’t possibly live up to the expectation. So, next time I’m in Malaysia I will definitely visit entopia! Thanks Tony. Sounds like there is a nice butterfly house in your hometown too. When you visit entopia, do come back and let us know your views on the awesome place. Hi Christina! I am glad you like butterflies. I love them too! They are so pretty and delightful. I too did not expect to see so many varieties of butterflies at entopia. I can watch them all day! Oh, thanks for sharing this with your Aunt. I hope she enjoys seeing all the photos and video? They used Hibiscus (the red flower) for one of the feeding zones. The feeding area where they used those round yellow things were actually slices of Pineapple. In Malaysia, they have pineapple plantations, and they are very sweet. I think the sweet juice attracts the butterflies, and they drink it. Wow, this place looks beautiful! I love learning about animals and nature so this would be a place I’d love to visit in my lifetime. Really enjoyed the video, it was like I was there looking at all these beautiful things. Thank you giving us this great information. Hi Sabrina. You’re welcome. I am happy that you enjoyed this post. I too love nature, and learning about it. Glad to know this is going to your bucket list. When you are there, do come back to my blog post and share your experience. 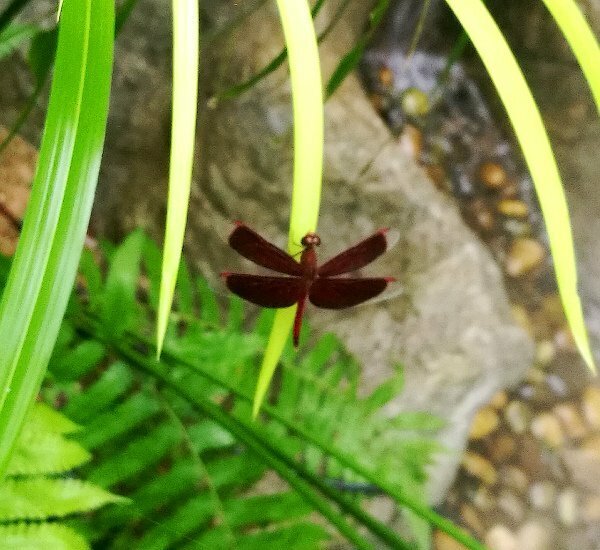 A very interesting post about the the Entopia ButterFly farm in Penang. 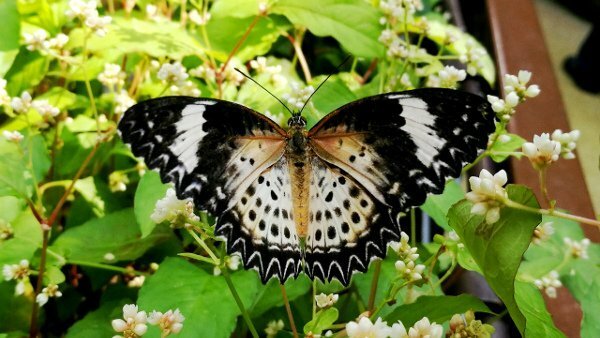 To tell you the truth, the first time I heard about a butterfly farm was not in the happy and inspiring way described and shown with beautiful pictures like you do in the post. Maybe it’s because I deal in the pain management niche, but the first time I heard about a Butterfly Farm was as therapy for those who needed to overcome their fears of insects. This alternative therapy encouraged visitors to conquer their irrational responses to insects by assessing their emotions and understanding the root of their fear. So it’s nice to know that butterflies can be appreciated not only for their beauty but also for their ability to dramatically increase the happiness factor of people who are suffering from serious illness. In fact, there was a time when butterflies were let loose in cancer wards. That said, one doesn’t have to be ill or suffer from a phobia to get the benefits of your excellent post. It was a joy just reading it. Nice job. Thanks Thabo. Glad you enjoyed this blog post. What you shared about using butterflies for therapy is very interesting. I can see how a large number of butterflies can be scary to some people, especially those who have fear of insects. 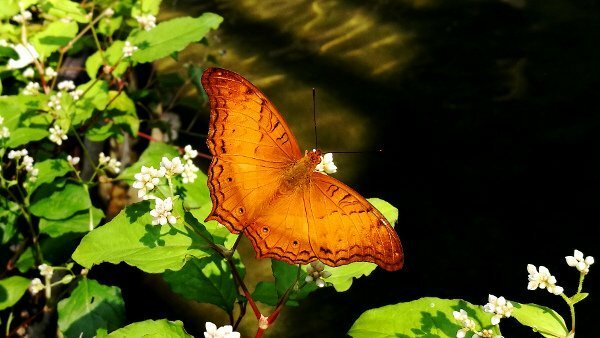 But entopia presents the butterflies in such a peaceful and lovely scenery. I believe anyone who visits will enjoy it. What a beautiful article about a beautiful place! I absolutely love butterflies so I would probably need at least an entire day to spend at this butterfly haven! You are so lucky to have visited such a magical place. Your pictures are lovely and your video is awesome! Thanks so much for sharing such a unique place to visit. I will add it to my bucket list! Thanks Brenda! Glad you enjoyed this blog post, pics and video. And happy to hear that you have added it to your bucket list. This looks like an awesome place to visit and full of color. The pictures of the butterflies are beautiful, it is almost like being there. 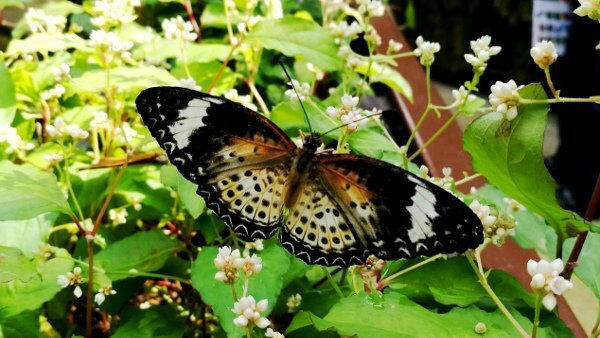 I love to watch butterflies and would love to visit the Entopia Butterfly Farm. 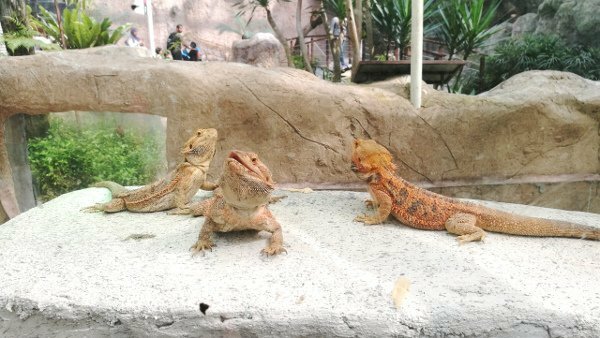 Another thing that caught my eye was the dragons, I use to have a bearded dragon and he was so much fun. It would have been great to have him in a place like that. It truly was an awesome place, Dena. I must confess I was not keen at first to visit. I thought it was just going to be anti climatic and boring. I was so wrong! It was a very enchanting and beautiful place. I love that the butterflies were flying around everywhere. And oh yes! The dragons were very cool. You had a bearded dragon! Sounds fun! I loved to read your enthusiastic article about Entopia. I have put it on my bucket list now. The pictures of the butterflies are gorgeous and also the video makes me wanna go there immediately. Hundreds of species of butterflies in beautiful colours – that must really be joyous to see. The dragons look fascinating too. 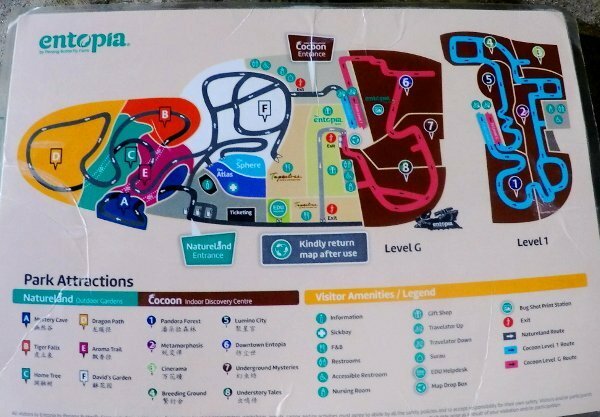 Unfortunately, it is too far away for me to go there over the weekend, but when I travel to Malaysia, I definitively want to visit Entopia. The butterflies are so awesome! They were not afraid of people, and anyone can slowly move closer to get a good shot of them. That was how I was able to capture all the pretty pictures of them and video as well. 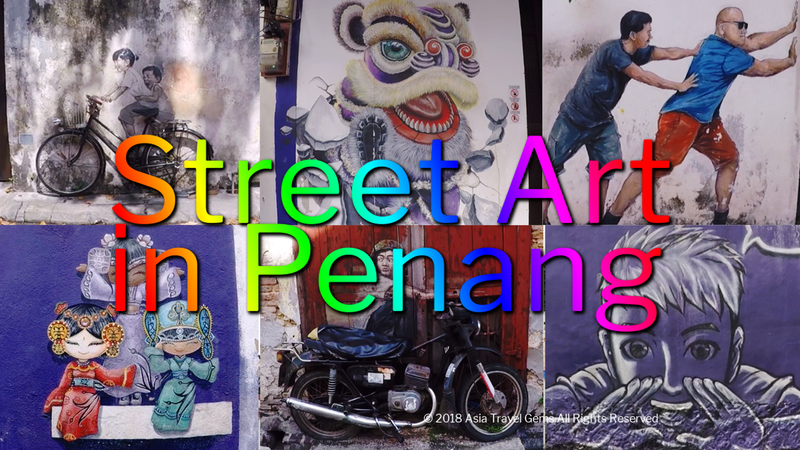 I am more amazed at what Penang offers everytime I read one of your new posts, you are not being fair tempted us with such beautiful photographs and content on this wonderful place to visit. I might go to Penang one day and not wish to return home, what is the laws for an American to stay in Penang. Hi Jeff. Thank you for your kind compliments. It is good to hear such good feedback and comments from readers. You have showed me in this post how Penang is a place with many things to do and attractions for tourists. 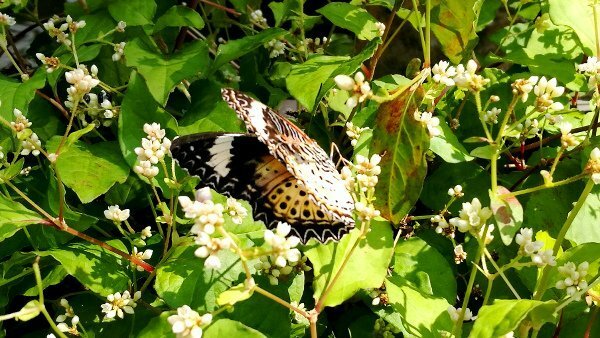 I would love to spend my day with the butterflies, I am a big animal and nature lover. Thank you so much for this attractive post. The place look so interesting. You know one of my favorite things to see is the colorful one. So butterflies are so interesting. I really love to see the variety of them. Love their beautiful colors and want to see how the process of their life. There are also many more things, creatures, to see. And from your photos and video, it’s really attractive. I would take a photos when I visit there. Also your informations are really helpful. I’m always inspired by your articles. I quite enjoy reading your posts and I’m looking forward to seeing new places from you soon. 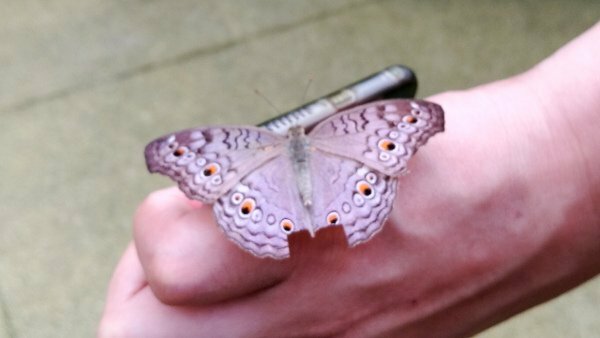 I too love butterflies and find them interesting. In fact, they are the reason why I included Entopia as one of the places to visit in Penang. And I am so glad I did. As you can see in the article, not only were there so many beautiful butterflies, there were many interesting creatures too. Plus, I get to see how a butterfly came about from an egg to caterpillar to cocoon and to a gorgeous butterfly. Thank you also for your kind praise for the photos and video. I hope to keep improving and showing better images and videos in the future. I hope you do visit Penang and Entopia. 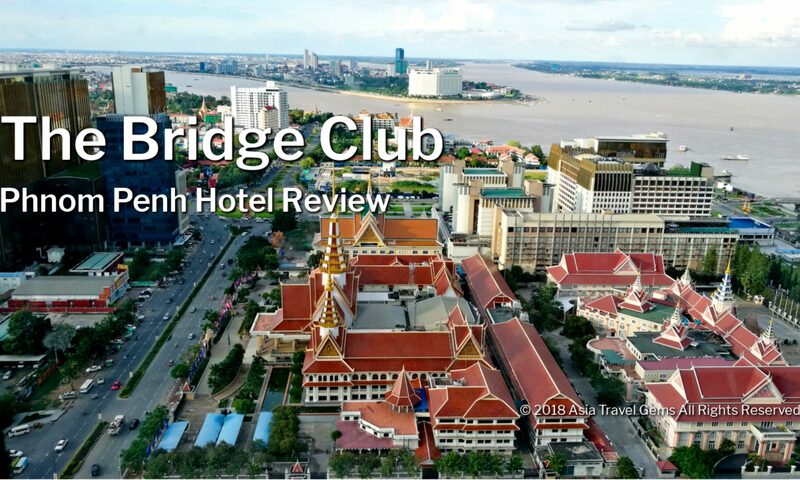 When you do intend to visit, please do book your room and flight via Agoda – You can get up to 70% discounts when you Click Here. 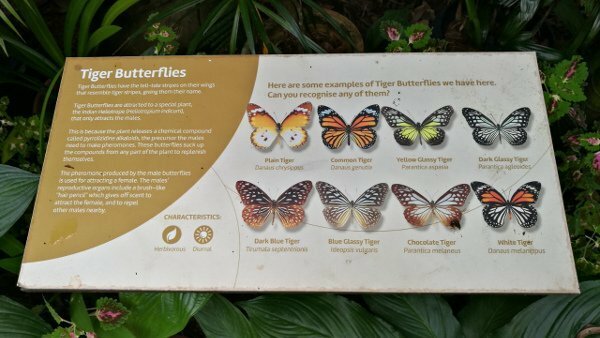 Went to the Butterfly Farm on Timotheus recommendation and glad to say it’s one of the highlights for my trip to Penang recently. 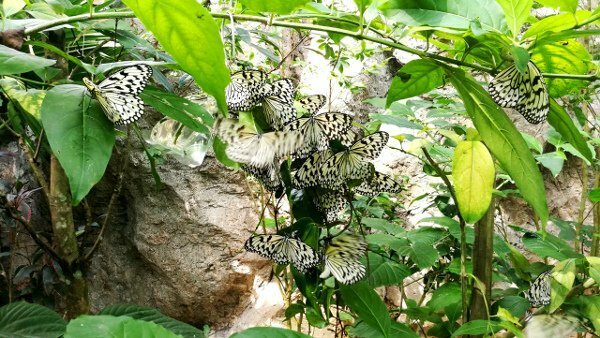 There was so many butterflies flying around freely in the enclosure and there’s an Instagram worthy photo place in the park if you visit it. Thanks Timotheus and have a great year ahead!! I am very happy to hear that my recommendation is the highlight of your Penang trip. I hope you visited the other places mentioned in Asia Travel Gems, and also the awesome Penang Food such as the super delicious Chendol?